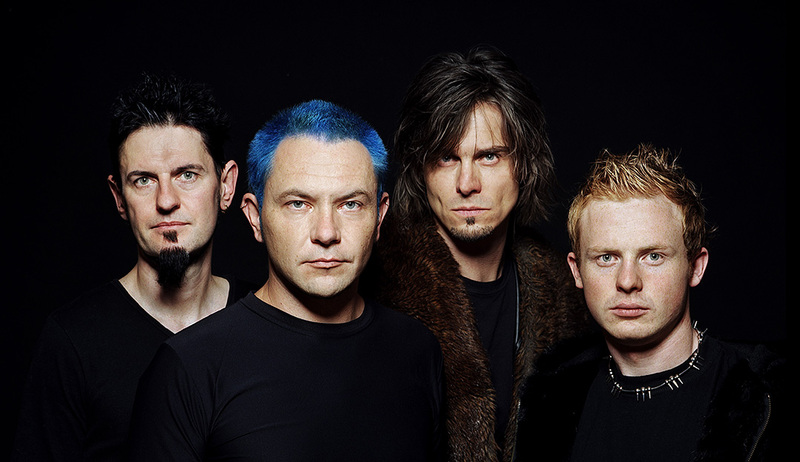 After the great waves of success in 2001 and 2002, thousands of European music publications described Megaherz as one of the most important representatives of German modern rock music, and after selling over 100,000 CDs, Megaherz is now back with a vengeance. After two years of preparation and intensive song writing, MEGAHERZ are ready to unleash their new album entitled ‘5′ upon the United States through Eclipse Records, and with their new single “Gott Sein ’04” the band has redefined their sound and musical vision as more dynamic, more vivid, and better than ever before. 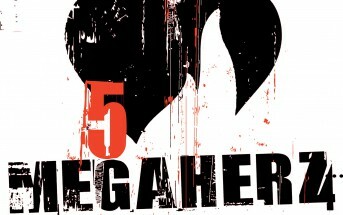 Mathias Elsholz is the name of the new front man with whom MEGAHERZ are beginning their new musical era. With him the band itself has gone through a heart transplant and now it beats more emotional and alive than ever before. In order to realize their new and ambitious goals, they had none other than Ralph Quick (Die Happy, H-BlockX, etc.) on board as producer. The album “5” was recorded in the Lundgaard-Studios in Denmark. The outcome is an outstanding album that spans all genres of the category “Hard and German” – somewhere between industrial, dark rock, electronica, and “fat grooves”. An album that rocks and speeds along, but also one that doesn’t ignore the sensitive, down-tempo ballads. “5” is an outstanding and gripping album: Fans will be able to argue about it, and that is exactly the intention of the band and their music. For, there is one thing Megaherz has always been about, and that is musical “whole food” for people with brains and sense.